Drivers may know the Nissan Sentra as a popular midsize sedan. You may know some of the general specs about this car. But today, we're going to talk about some of the most notable performance features of the 2019 Nissan Sentra. The 2019 Sentra is known for its' turbocharged power. This sedan features 124 horsepower, and it can get you wherever you need to go. The 4-cylinder engine will help you get many miles into your trip without giving out on you. The 2019 Sentra gets 29/34 city/highway mileage. Are you looking for an AWD crossover? Are you trying to find something that not only looks good but is fun to drive and offers you and your passengers comfortable seats to sit in? 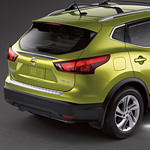 Check out the Nissan Murano and all that its interior has to offer. Nissan first introduced the LEAF as a fully electric car in 2011. Since then it has become one of the most popular electric vehicles on the market for several reasons. The first is that Nissan has improved the technology, range, and charging systems over the years. The Nissan Titan XD is a full-size pickup truck that’s popular not just because it looks good, performs great, offers good fuel economy and is loaded with technology but also because it offers the options of many accessories. 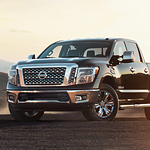 Visit us at Weston Nissan and check out the Nissan Titan XD for yourself. You may be surprised at how much value there is to be had when driving a compact SUV. In many ways, they provide drivers with all of the benefits of their bigger brothers. The 2019 Nissan Rogue Sport is a compact SUV that seeks to make a statement and an impression with its performance features. While people may look to the engine for performance, there are other aspects of the vehicle that influence the performance it is going to give its drivers. 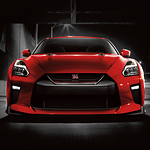 One aspect of the 2019 Nissan GT-R is the overall design of the vehicle. We at Weston Nissan are aware of the effects that the design has on the performance of the vehicle. The Nissan Maxima is one of the latest re-engineered sedans that has received a lot of praise for its performance. For one, Nissan has pulled out all the stops to create a sedan that’s truly powerful even with the standard base trim. In addition, the sporty new Maxima has a powerful V6 engine at base that accelerates effortlessly. When you come by Weston Nissan, we can show you the all-new Nissan Kicks and the many features that this vehicle offers. If you are looking for a subcompact SUV option, you should consider this one. 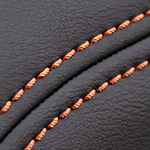 If you want interior features that keep you comfortable, this Nissan will not disappoint. Anything boasting advanced technology garners interest from consumers. The automotive world is not excluded. Tech trends touch it as well. 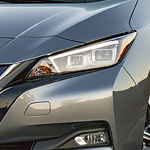 With the compact Kicks SUV, Nissan delivered a unique high-tech model to the market. Nissan's "Intelligent Mobility" tech features genuinely enhance the SUV's ride. Drivers do feel nervous about backing out of a parking space. No matter how careful you are, another driver might drive recklessly. With the Nissan Kicks' "Rear Cross Traffic Alert," drivers gain an assist when backing out. The alert can send an alert about cars it detects. When you get behind the wheel of the Nissan 370Z Roadster, you can feel the potential of its engine. This popular sports car is equipped with an impressive engine that pumps out plenty of power to have fun. We here at Weston Nissan are excited to show you what's underneath the hood of the new 370Z Roadster.